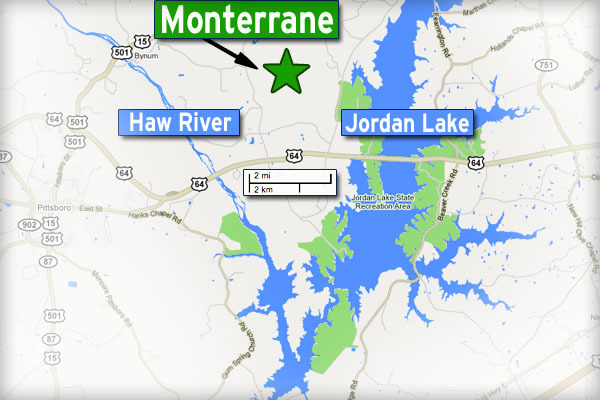 Monterrane is a beautiful community in the rolling hills of Chatham County just above Jordan Lake. Made up of large, wonderfully wooded lots that afford privacy without isolation, Monterrane is a very desirable place to make your home. Lots are availbale for you to bring your own builder. There are hiking trails through and around the community and several parks for play and relaxation.